A week ago, I was still really struggling and sad about The Pulse Shooting. Ok, so I'm still struggling and sad about it but I was much more so that day. I decided to do a memorial service during the two LGBT support groups that I facilitate where I work and I had written something long and angry. Fortunately, I had a therapy session before the service and it was so helpful. "I want you to feel how connected you are," my therapist said. She reminded me that I needed to be part of my community, the importance of not hiding and taking care of myself. I felt bolstered up, being reminded of the interconnectedness of all people and I left knowing that I needed to rewrite my service. I majorly edited what I wrote, which was a mix-match of several blog posts, and ended it with a question about self-care. In our quest to make sense of the horror, we need to reach out, support each other, and take care of ourselves. It is essential for our survival. The point of recovery is not to be perfect. The point of recovery is not to never feel pain. The best way to feel better when something tragic has happened is to allow yourself to go through the grief. Ignore the grief and it will gradually catch up with you. The point of recovery is not to never be anxious but not to be crippled by it. The best way to allow myself freedom is to let myself grieve. 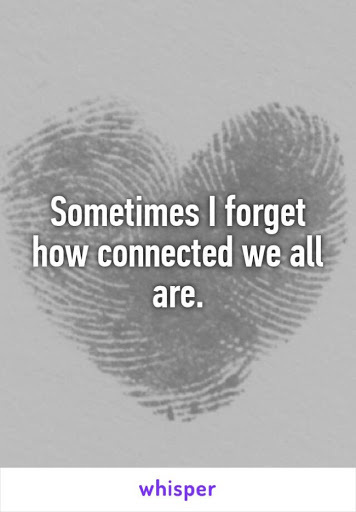 In our grieving, let us remember that we are all connected. We have community. We are not alone. Grief is natural but let us not isolate in it–let us come together and be there for each other. 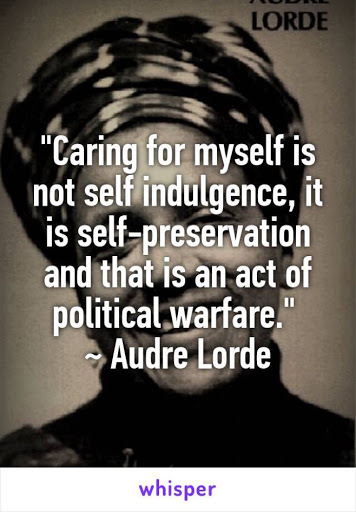 Let us not wallow in misery but take care of ourselves and for each other. What do you do to take care of yourself, your emotional, physical, and spiritual self?